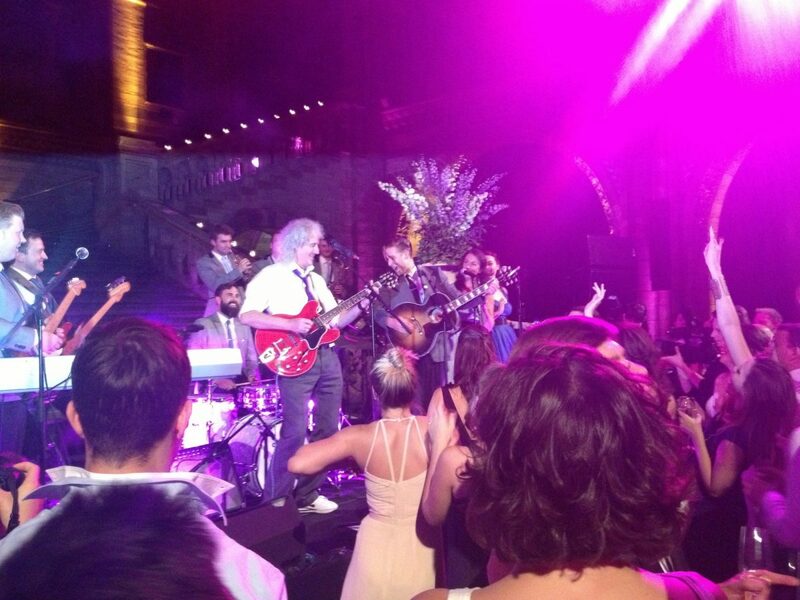 We were phoned by Brian May’s PA and asked to provide a great rock-n-roll band and DJ for his daughters’ wedding, to take place at the Natural History Museum, London UK. 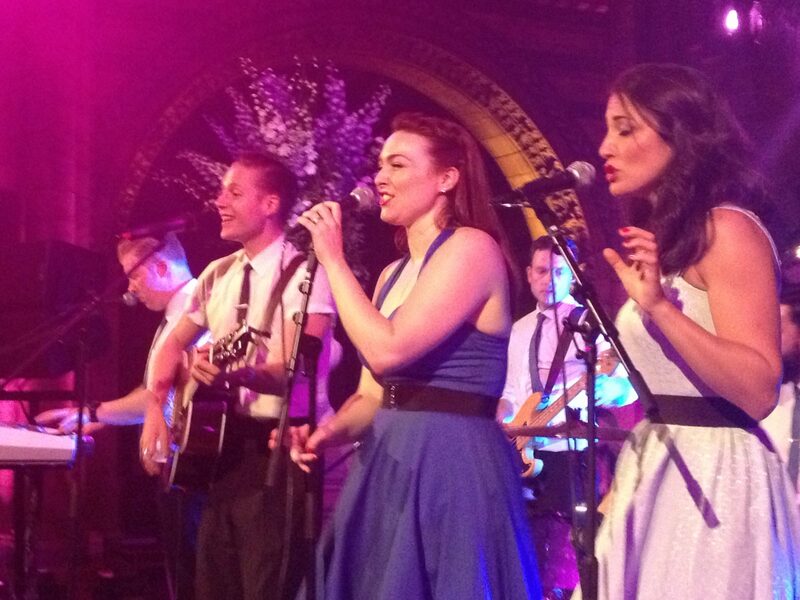 Sue met the couple Emily and James to chat about what they wanted and found the perfect band for them. 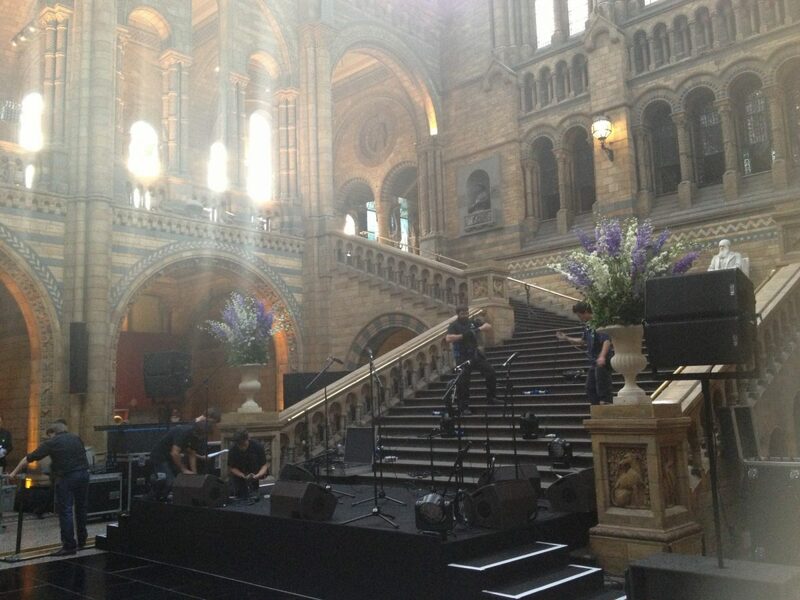 She also attended a Suppliers site visit and event run through at the Natural History Museum. The get in on the night needed to be at speed and it was vital everything was tightly timed for access and soundcheck. A detailed method statement needed to be produced to make sure things ran smoothly on the night. Sue attended the event in the role of artist liaison and as such had the pleasure of seeing Brian borrow one of the band member’s guitars and joining in on a number. As a lifelong fan of Queen this was one of those never to be forgotten highlights of Sue’s life! 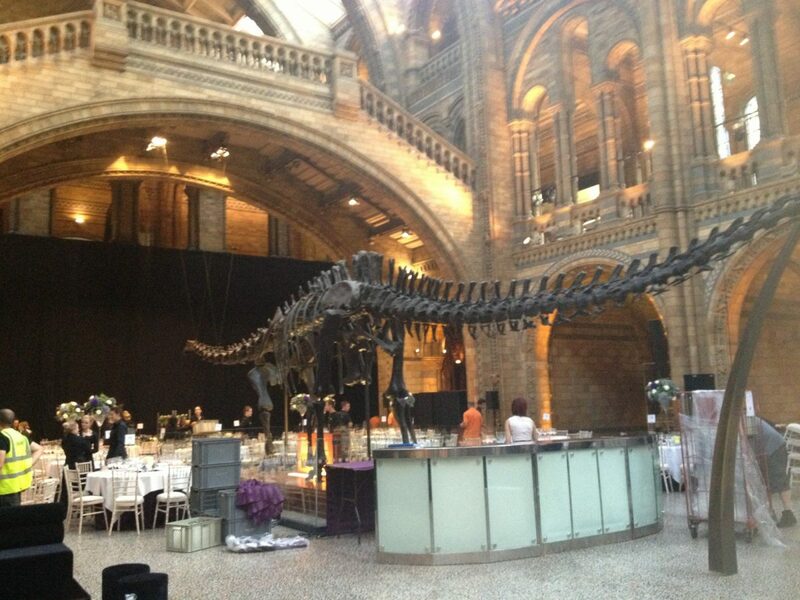 Joanne Wood, Senior Events Manager, Natural History Museum.